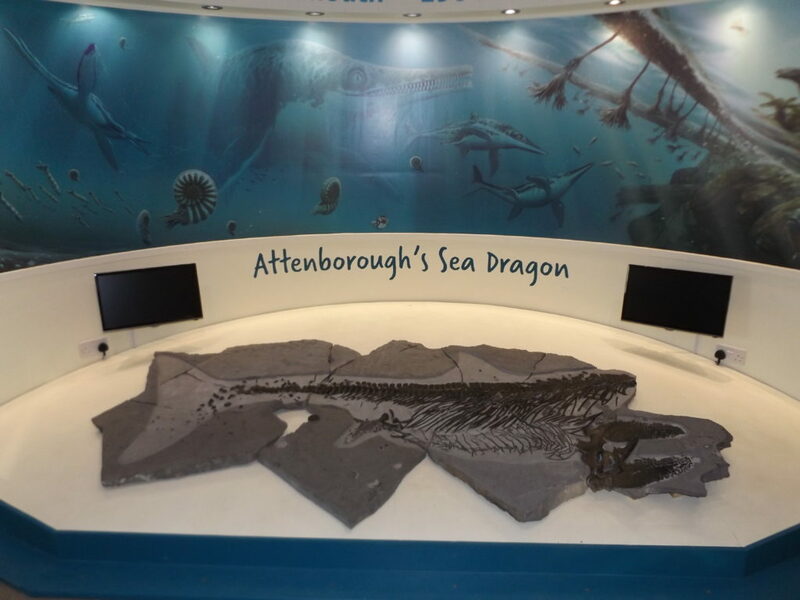 The incredible ichthyosaur that starred in the BBC documentary ‘Attenborough and the Sea Dragon’ is on display at the Charmouth Heritage Coast Centre for all to see and learn about. The ichthyosaur was discovered by local collector Chris Moore who has loaned the Sea Dragon to the Centre. The Centre has free entry and is on the beach at Charmouth, one of the best and safest areas to collect fossils on the Jurassic Coast World Heritage Site. Come and discover how the pieces of this 200 million year old murder mystery were pieced together and learn how to find your own fossils on the beach on one of our guided fossil hunting walks. 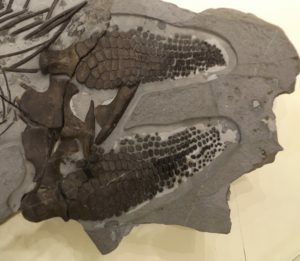 Chris Moore, a professional fossil collector, discovered a part of the front paddles of an ichthyosaur on Monmouth beach at Lyme Regis. After carefully cleaning the first piece of this extinct reptile he knew that it was something different. After getting permission from the landowners and mentioning the find to Sir David Attenborough, the plan was made to excavate the fossil from the cliffs. After careful consultation and agreement from the landowners and Natural England, Chris had permission to search for the rest of the fossil within the cliffs. It is not permitted to dig or extract fossils from the cliffs unless you have permission from the landowner. 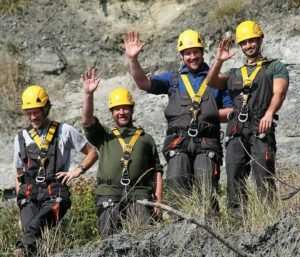 Chris and his team had to have professional climbing and rope experts, geologists and the help of Sir David and the BBC to carry out the excavation. Once the fossil had been located then weeks of hard work began in order to extract the rock containing the ichthyosaur, and then sail all the pieces back on a floating pontoon. Back in Chris’s workshop the task of exposing the fossil from the hard limestone began. Chris, his son Alex, and fossil preparator Chris Duggen, spent over 1,000 hours cleaning the ichthyosaur with air pens and chisels. While preparing the fossil, several exciting clues were revealed that hinted how the creature had become fossilised. The ichthyosaur was so well preserved that even its skin is visible. Several bite marks on the skeleton showed that this 4m long ichthyosaur had been killed by a much larger reptile. Research on this fossil was carried out by experts at Southampton University and Bristol University. Visit the Centre to see this exciting new display and discover the clues to this Jurassic murder mystery!